Small & Pietras Funeral Home, formerly known as White-Gibson-Small Funeral Service, Inc., is located at 65 Elm Street in Rockville, CT. The funeral home was established in 1913, by Luther White. In 1924, the funeral home was transferred to 65 Elm Street. Mr. White was later joined by Ralph Gibson who was Mr. White's son-in-law. The name went from Luther A. White Funeral Service to White-Gibson Funeral Service Inc. 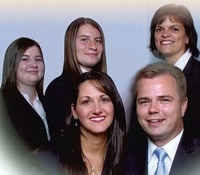 In 1971, Mr. and Mrs. Small purchased the funeral home and changed the name to White-Gibson-Small Funeral Service Inc.
On December 13, 2004, Philip & Jessica Pietras purchased the business from Mr. & Mrs. Small and in May of 2005 changed the name to Small & Pietras Funeral Home.Philip and Jessica live at the funeral home. In May of 2007, Philip and Jessica purchased Coventry Funeral Home at 2665 Boston Turnpike, Rd. in Coventry, CT from Mr. Kevin Riley who founded the business in 1991. Philip and Jessica feel that service to the families are their top priority and they offer all types of services from Traditional Burials to Traditional Cremations. All types of services can be adjusted to suit the families wishes. As of April 2, 2009 Philip and Jessica have purchased the Burke-Fortin and Tolland Memorial Funeral Homes from John Fortin. They are proud to continue the traditions of the funeral homes. The combination of all four locations will better serve our families for all types of services. Between the four locations we continue to serve the families from Rockville, Vernon, Ellington, Tolland, Coventry,Bolton, Storrs and the surrounding towns. As of November 14, 2014 Philip and Jessica have purchased the Bassinger & Dowd Funeral Home at 37 Gardner St. in East Windsor from Gerald "Jerry" Dowd. They are proud to continue the traditions of the funeral home. Adding the funeral home to the Pietras Family Funeral Homes will expand them to service the East Windsor, Windsor Locks, Enfield and South Windsor communities as well. The Staff of Small & Pietras, Coventry & Pietras, Burke-Fontin and Tolland Memorial Funeral Homes are proud members of the NFDA, CFDA and CT Better Business Bureau.